In the EEOC’s new guidance, the agency expressed its opinion that an employer’s categorical refusal to hire convicted felons would constitute disparate impact discrimination, and be unlawful. The guidance recommends, instead, an individualized assessment of a convicted felons’ application and requires that any disqualification be “job related for the position in question and consistent with business necessity.” The EEOC has already relied upon this new guidance to file lawsuits against several large employers, including BMW and Dollar General air jordan 4 sale. 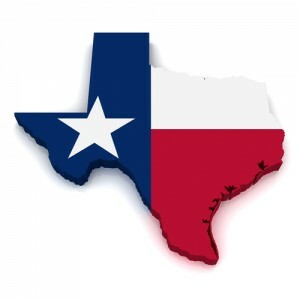 The lawsuit filed by the State of Texas chronicles these lawsuits and paints a very unflattering picture of the EEOC’s abusive litigation tactics and unrealistic view of an employer’s right to keep felons out of the workplace. The takeaway from this lawsuit is that the EEOC is increasingly coming under attack for guidelines which are likely not enforceable and ignore the practical difficulties in making hiring decisions. This lawsuit should strengthen the willingness of other companies to stand up to the EEOC and not follow what are clearly flawed guidelines. For example, if an employer followed the EEOC’s directions and conducted individualized assessments of applicants with criminal convictions (instead of applying a blanket rule), the risk of being sued for discrimination would actually increase. Absent some clear rules on what types of convictions will be a disqualifier, hiring decisions are likely to be viewed as arbitrary and defending a particular decision becomes even more complicated. There is a reason why businesses like hiring criteria that are clear, able to be followed, and backed up by common sense experience.